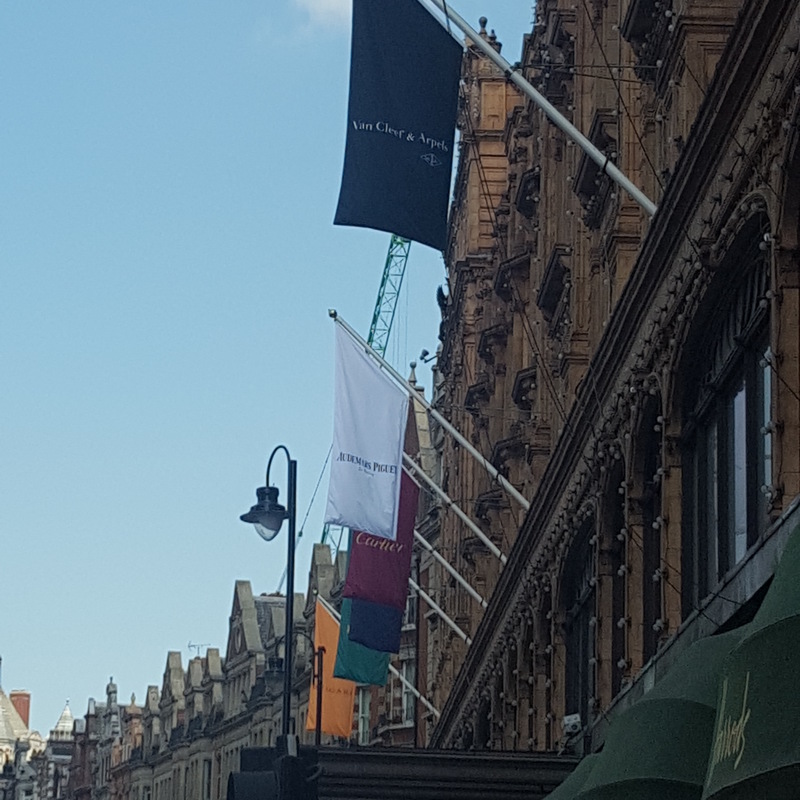 Piggotts Flags & Branding Limited has made and supplied flags to the ever popular and world famous Harrods store in London for in excess of twenty years. Over the years the flags we have supplied have ranged from their sales flags and specific product flags, to patriotic flags, such as Union Jack flags to commemorate the Queen’s 90th birthday. As part of our service to Harrods we have printed straight from the customer’s supplied artwork and we have provided our own designs for the flags. Piggotts has periodically carried out maintenance to the flagpoles on the side of Harrods’ iconic Knightsbridge building in London to keep them looking at their very best throughout the remainder of the year. Our work has ranged from printing and hand sewing the flags, using high quality materials and industry standard printers, right through to installing, taking down, repairing and laundering the flags. Piggotts takes pride in our attention to detail and the service we offer to aid in every stage of the Harrods’ displays. Piggotts has built a very strong relationship with Harrods through the work we do and the services we provide, helping them keep their outlay to a minimum while still maintaining the very highest of standards expected to portray their very striking image as you walk down Brompton Road. So when Harrods contacted us about their new “Rarity” display celebrating some of the iconic brands that are in their store, we were only too delighted to help. Fourteen individual flags were created in conjunction with Harrods and each of the businesses that were part of the display. These brands you will know as household names and they were all a fantastic support in getting their own flag designs agreed with Harrods and ourselves. As always Piggotts Flags & Branding are very proud to be able to support Harrods in their constant re invention and displays.